The South Cobb Arts Alliance is an integral part Cobb County’s south side community and is one of the leading forces in the area’s arts and culture. Since 1972, SCAA has presented the South Cobb neighborhoods with hallmark events that celebrate the Arts, the majority of which are free or discounted to the participants and attendees. Through our efforts, we have opened doors to those in our community who might otherwise not partake in the Arts. This community arts and culture endeavor is made possible through the partnership of the South Cobb Arts Alliance with Cobb County Board of Commissioners, the City of Powder Springs, Cobb County Libraries, other non-profits, schools, area businesses and local volunteers. Together, we work towards the common goal of recognizing and supporting the area’s cultural arts, as well as preserving our cultural heritage. 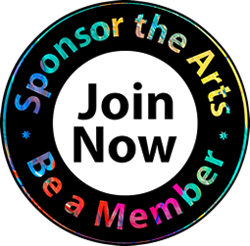 South Cobb Arts Alliance is a 501(c)(3) non-profit organization, therefore, membership dues and donations are tax-deductible. Become part of our active, energetic, and diverse group of volunteers and supporters TODAY! SCAA is an all volunteer organization. The mission of the South Cobb Arts Alliance is to build our community by encouraging appreciation and active participation in the visual arts, performing arts and local heritage. We will strive to advance to high levels the artistic standards of our members, our community and the general public by offering opportunities to extend experiences, to increase skills, and to share understanding, philosophy, techniques and knowledge. South Cobb Arts Alliance has achieved numerous milestones since its inception in 1972. SCAA has produced long standing hallmark and new events which celebrate the arts. Amongst some of its many achievements, in 2009, the Cobb Arts Board and Friends of the Arts recognized SCAA individuals and ensembles that made significant contributions to the arts in Cobb County. SCAA won for Outstanding Ensemble/Arts Organization. Cobb Community Relations Council recognized the organization at its 2014 Celebration of Diversity. National Endowment for the Arts awarded SCAA a grant in 2016 to broaden its outreach and promote local artists, art educators, students and the community. Become part of our future successes! Support SCAA by becoming a member, sponsor or volunteer. Take the step today to make a difference with art.